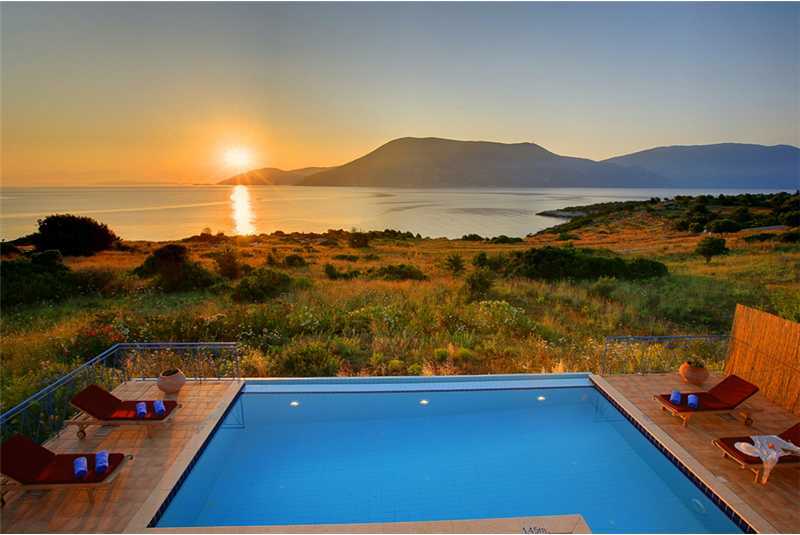 Kefalonia villas with infinity pools and stunning sea views, all in private villas. 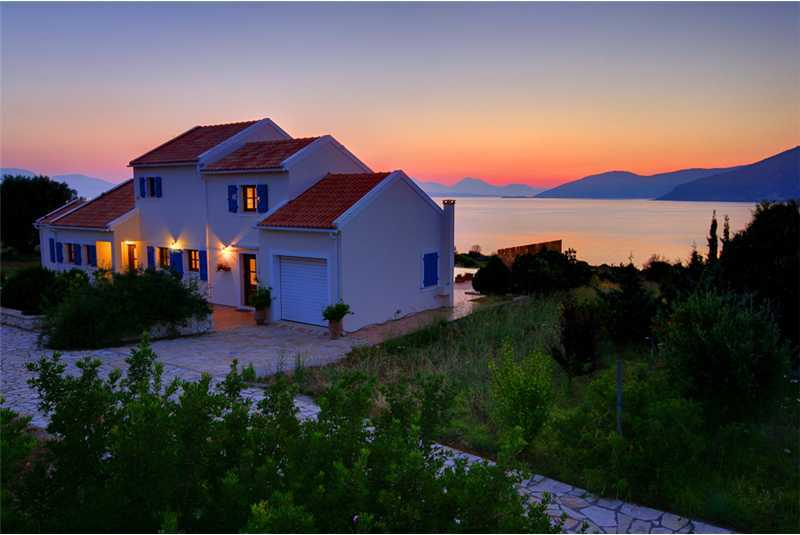 Villa Dolicha is one of the most sought after private villas on the island of Kefalonia, set beside the Ionian Sea in the picturesque village of Fiscardo, Dolicha has breathtaking sea views of Lefkada and Ithaca, with a private bathing cove on its doorstep and its own private entrance into the famous Emilisse Hotel where you can enjoy the 5 star facilities. Flexible changeover days available. 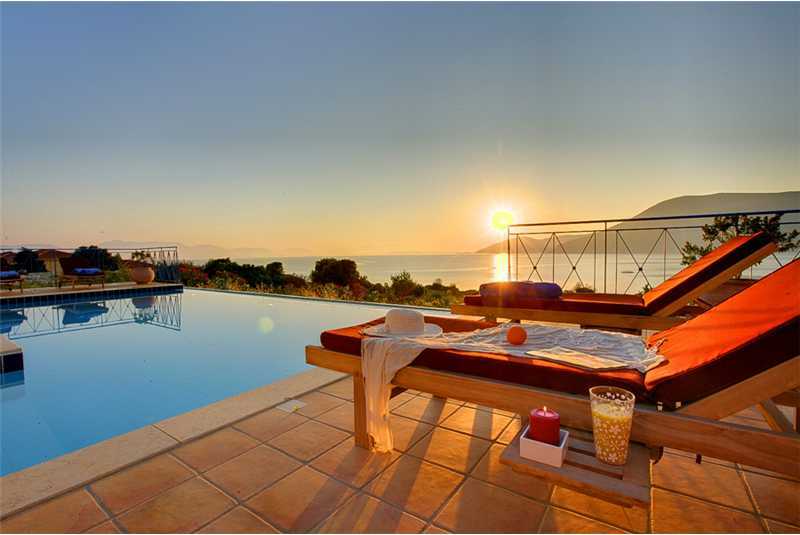 If you are looking for ultimate luxury villa holiday, then look no further than Villa Dolicha. 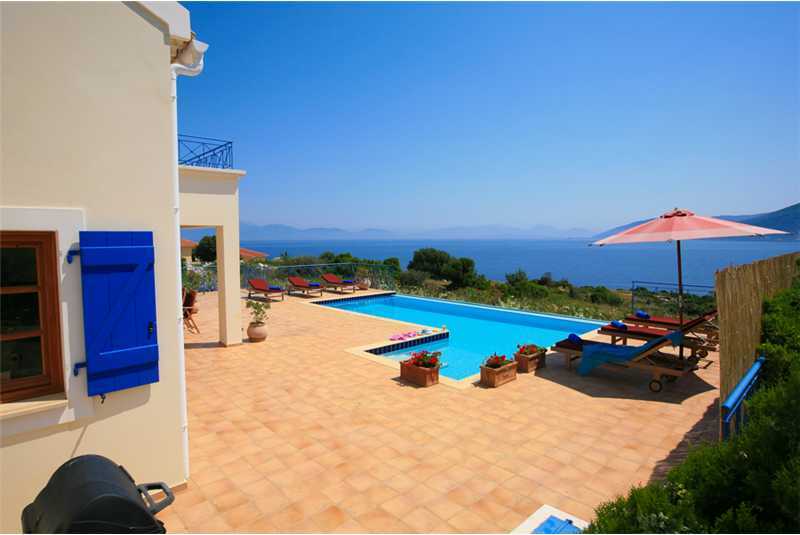 Located by the sea in the picturesque village of Fiscardo, Villa Dolicha has all the ingredients for a perfect luxury holiday. 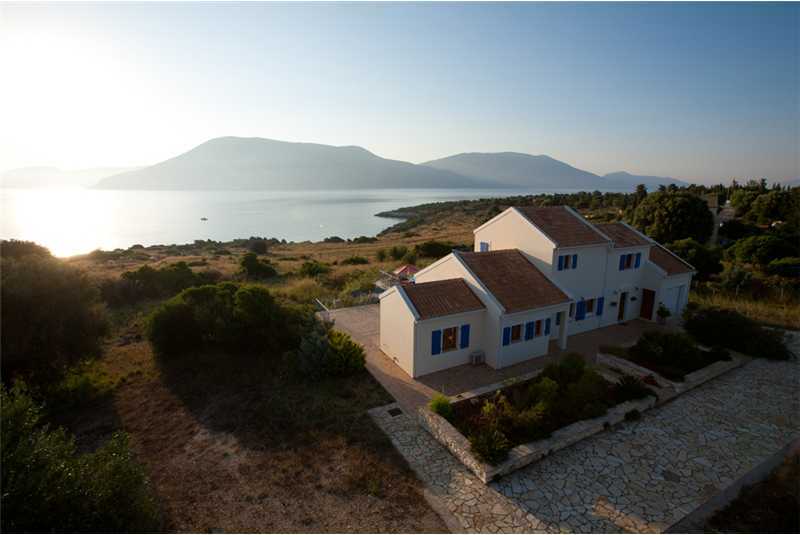 Set in an acre, just a short stroll from a private cove where the sea is crystal clear and the water range in temperature, from refreshing in spring to balmy in summer and autumn. Next door is the much renowned 5 star Emelisse Hotel, Villa Dolicha has its own private entrance into the hotel where for a small fee of 10e you will be able to use the 5 star facilities which include a gym, tennis court and health spa. 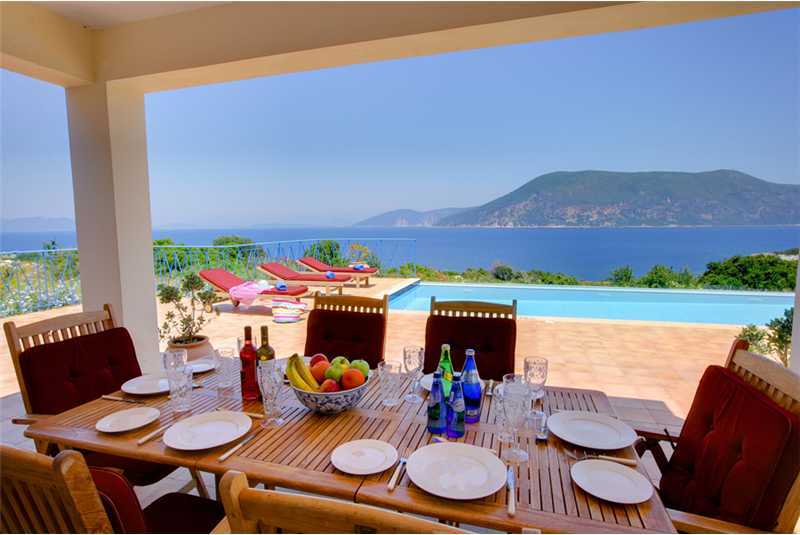 Villa Dolicha is just 1km from the picturesque harbour of Fiscardo, where in the evenings you can enjoy a drink or meal at one of the many bars, cafes and restaurants which overlook the moored luxury yachts in the harbour. 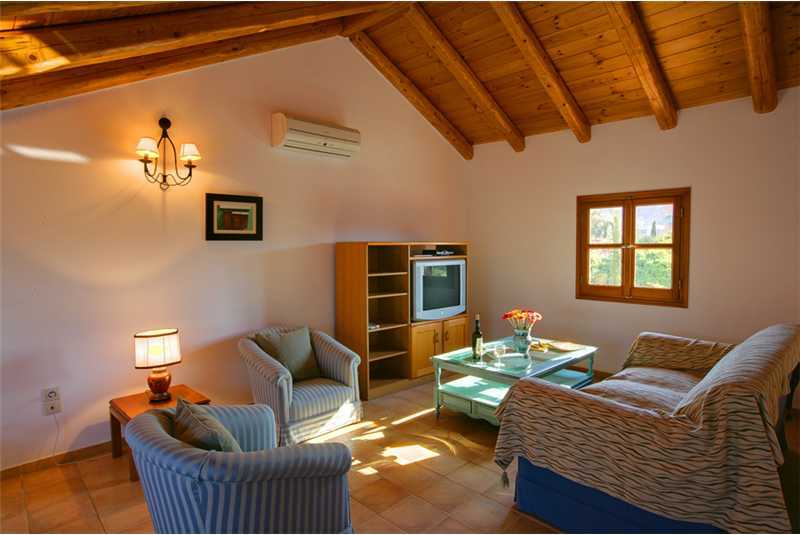 Villa Dolicha has been designed and furnished to a very high standard. 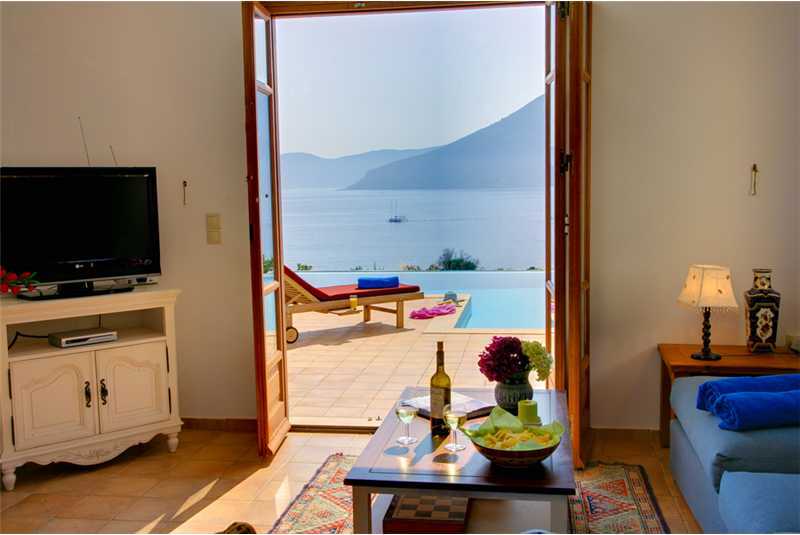 Downstairs, there is a large lounge with satellite TV, DVD player, internet access and music system, with a set of french doors that open out onto the infinity pool. The modern fully equipped kitchen and dining room are open plan sharing access out onto the patio area by the swimmimg pool. 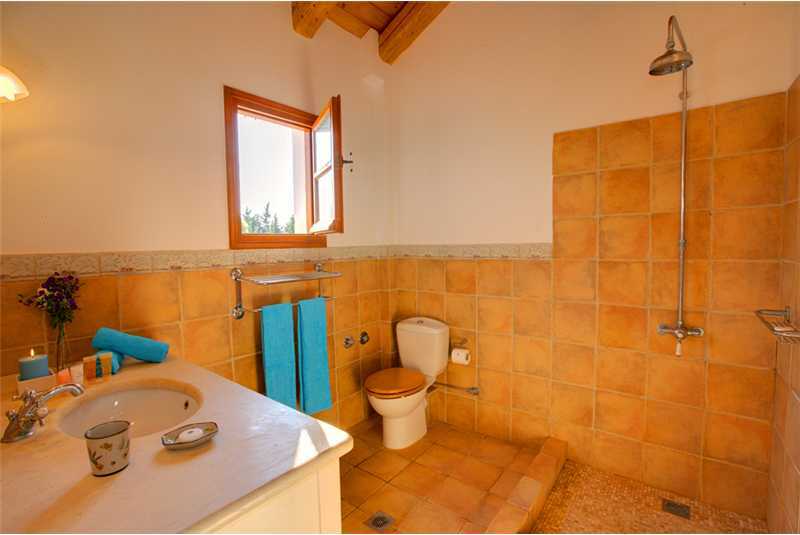 On the ground floor there are two bedrooms a twin and a double. 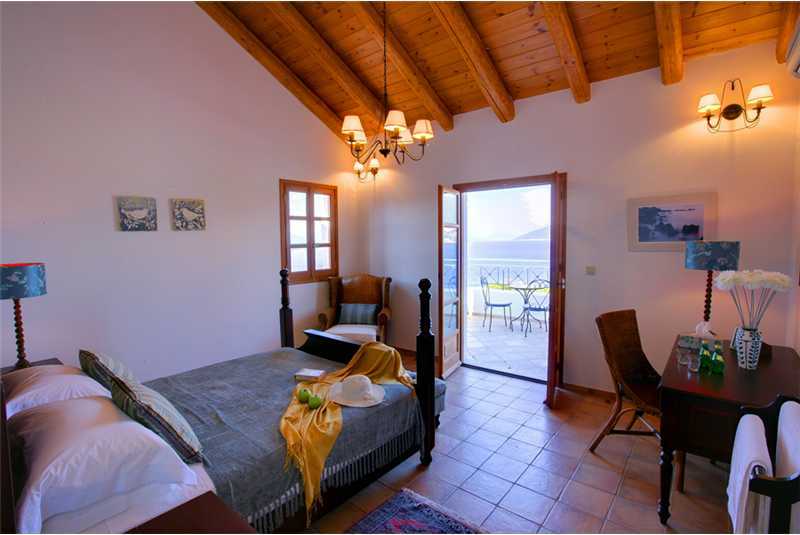 The double bedroom has a queen size bed, an en suite bathroom with shower, seperate bath and double doors opening out onto the swimming pool patio. 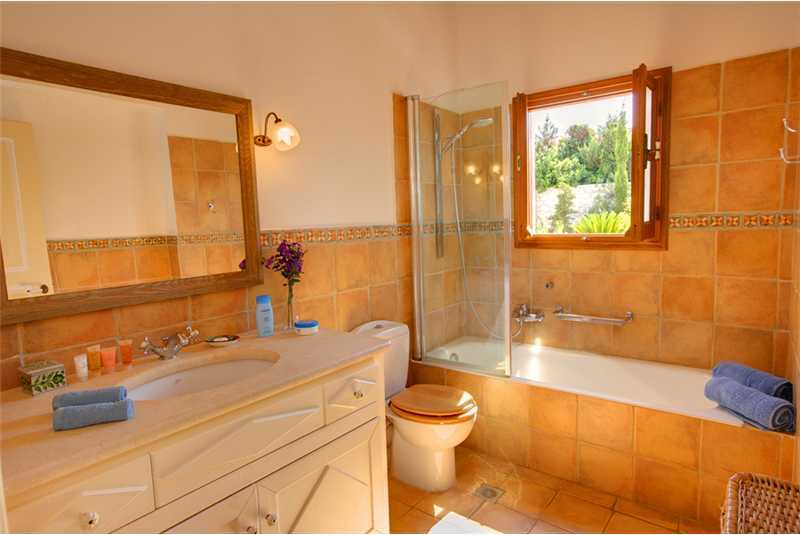 The twin bedroom also opens out onto the swimming patio and has a separate shower room. Upstairs is the master bedroom suite with a queen size four poster bed, en suite bathroom, lounge area with satellite tv, walk in closet with a private safe and double doors that open out onto a private balcony with stunning sea views. Leading out from the dining room double doors is a covered terrace complete with dining table and chairs and portable barbecue. 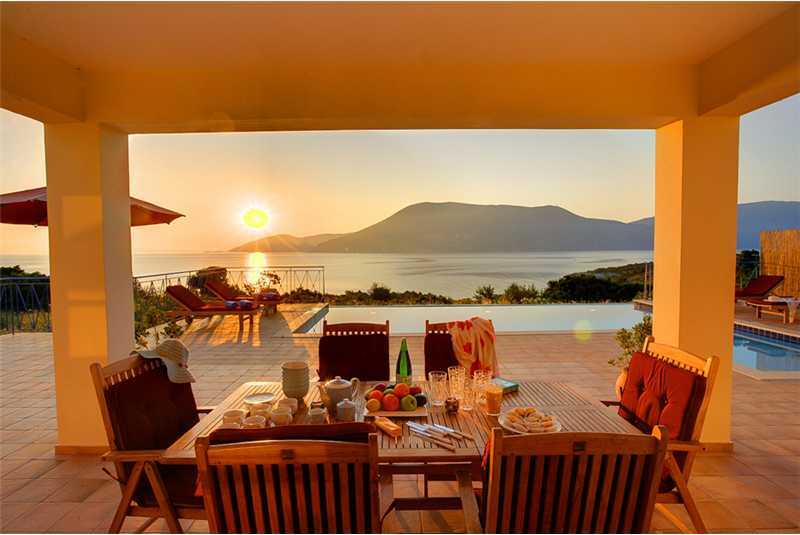 Here you can enjoy your meals al fresco whilst admiring the panoramic sea views of Lefkada and Ithaca or simply watching the constant stream of yachts, cruise ships and fishing boats that glide past the villa. 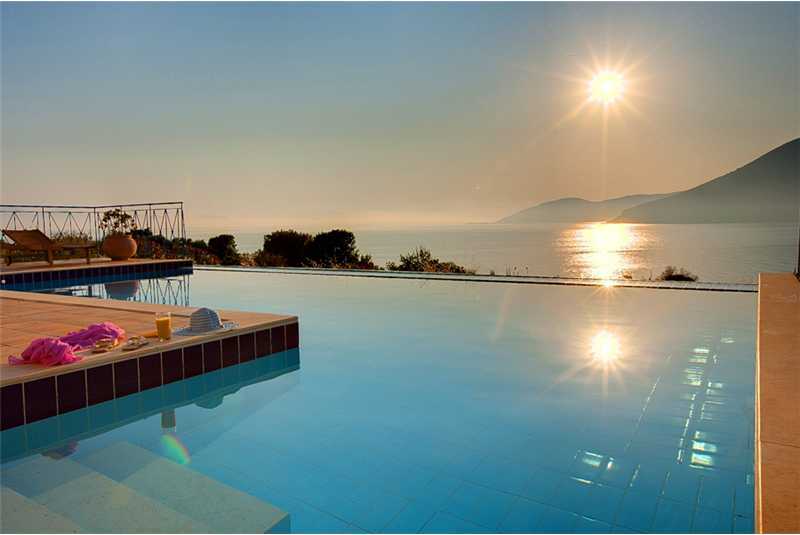 During the day you can sunbathe or relax under an umbrella reading a book on a sun lounger or swim in the magnificent infinity swimming pool with its own built in jacuzzi. 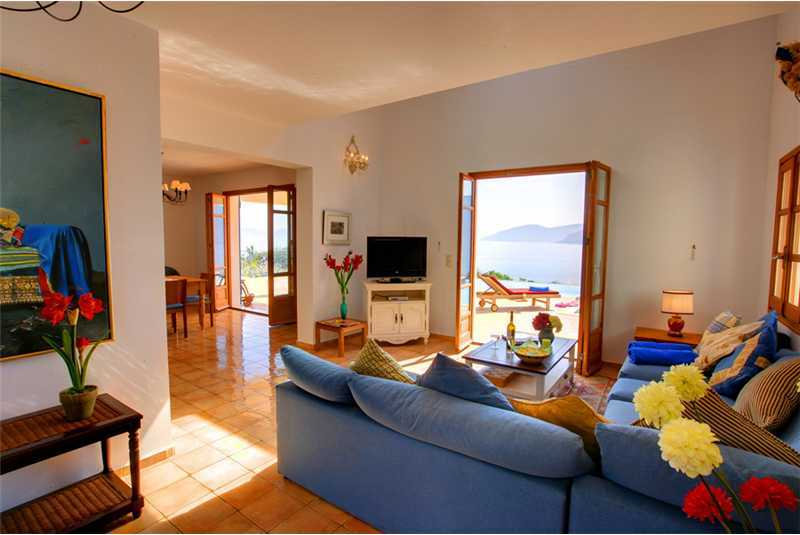 First floor master bedroom suite with queen size bed, television lounge, en suite bathroom and private balcony with stunning sea views. 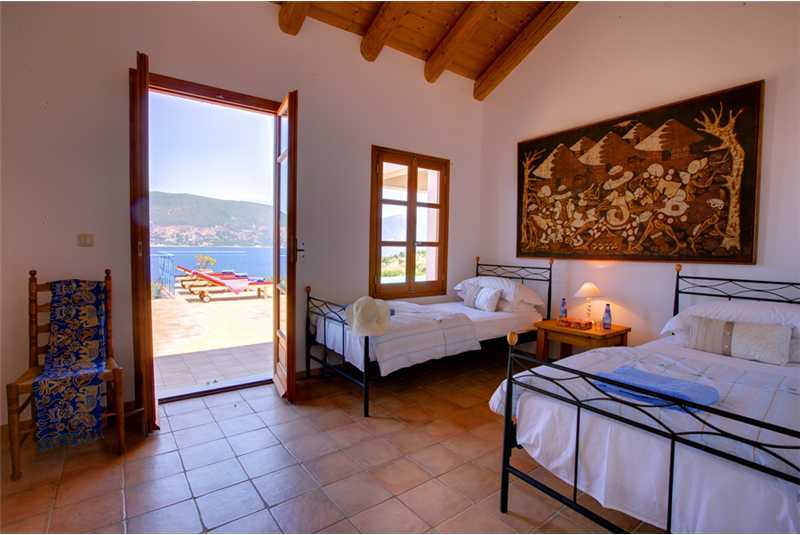 Ground floor twin bedroom with doors opening onto the pool. 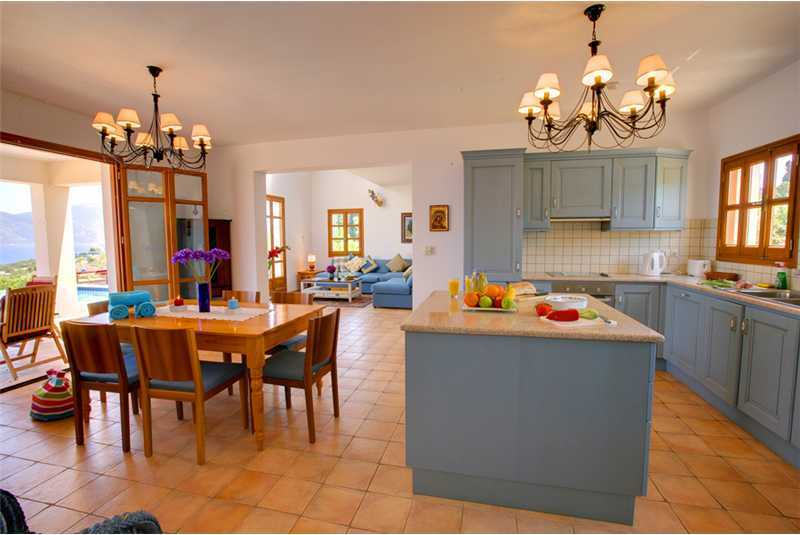 Fully equipped modern kitchen with fridge freezer, microwave, washing machine and dishwasher. Wi Fi and private entrance to Emelisse Hotel. Prices shown are for weekly accommodation only. For non weekly durations please contact reservations on 0207 183 6966 for a quote. 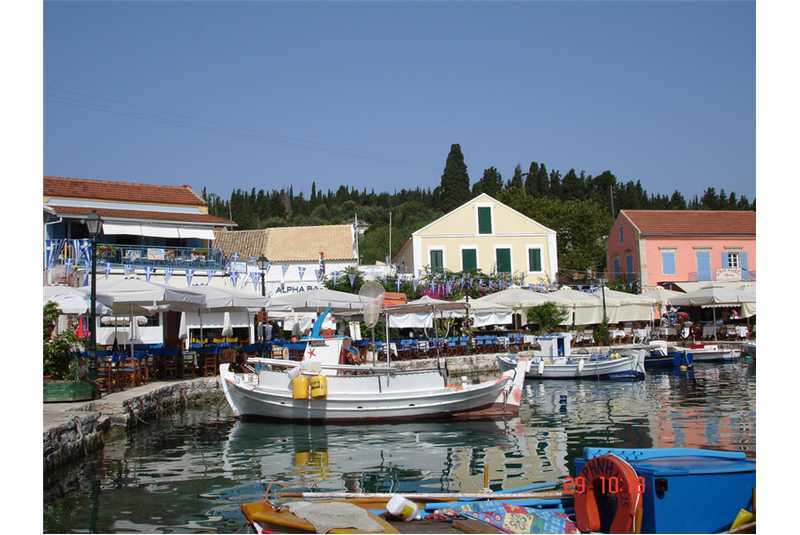 Copyright © 2005-2019 Kefalonia Collection. All Rights Reserved.